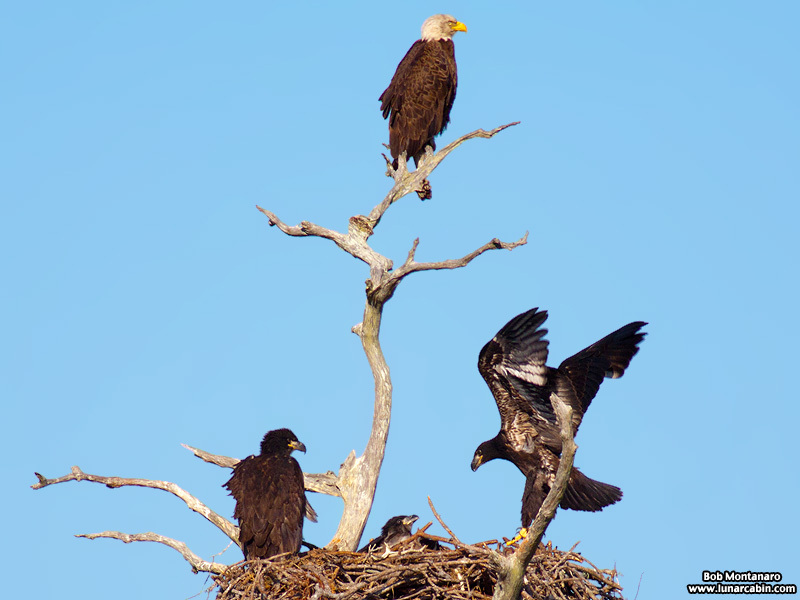 Bald Eagles (Haliaetus leucocephalus) are nesting in a dead tree in Sebastian, Florida in the middle of a scrubby conservation area surrounded by bedroom suburbia. 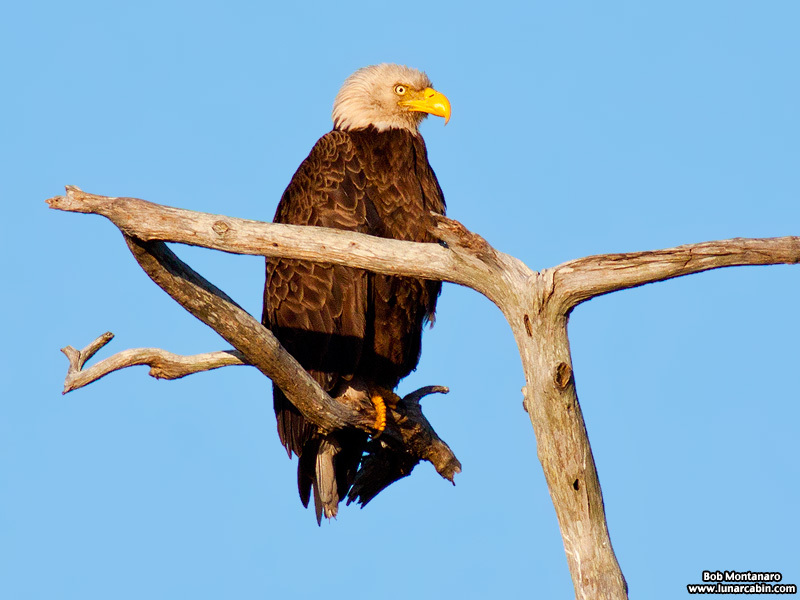 This is the mother Bald Eagle keeping an eye on her young from a dead tree nearby the nest. A view of the nest site amidst the scrub. 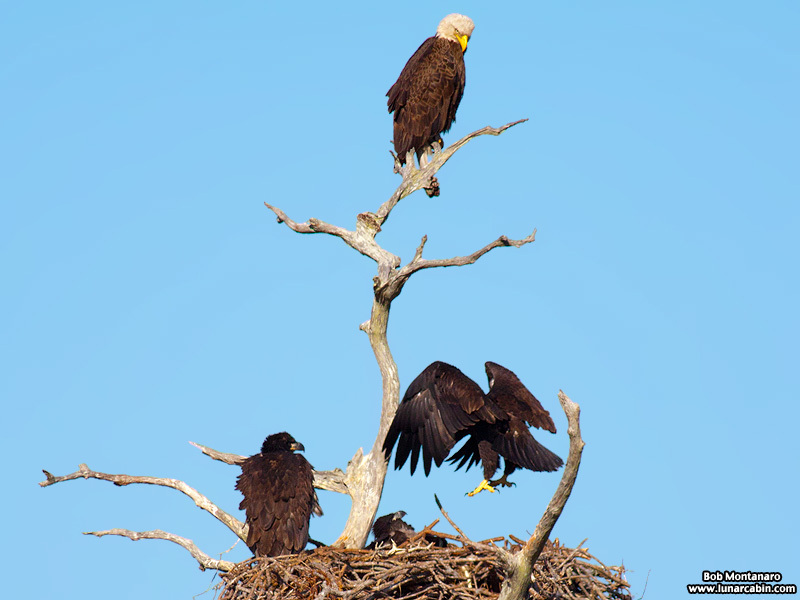 The three Eagle nestlings take a long, careful, look at a visitor to the nest. This does not look like a relative. 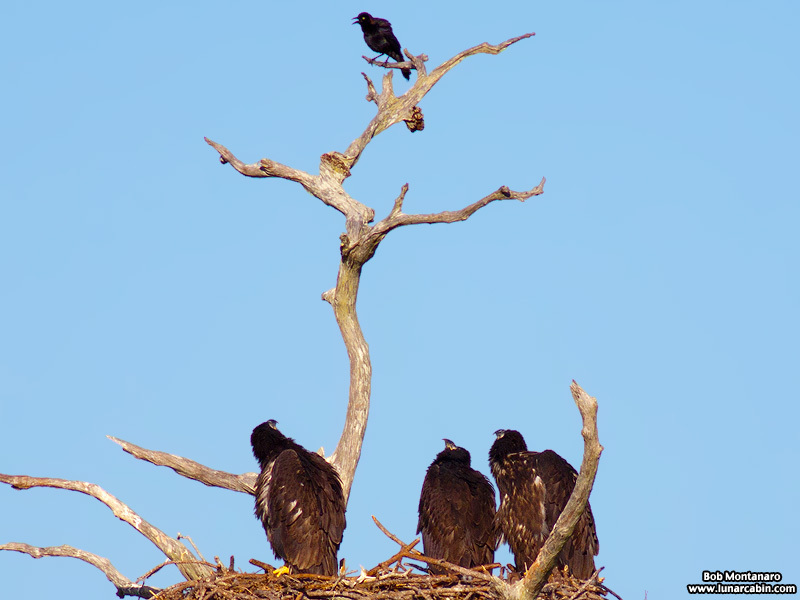 Mom returns to the nest to make sure other potential visitors don’t get too bold with her kids. 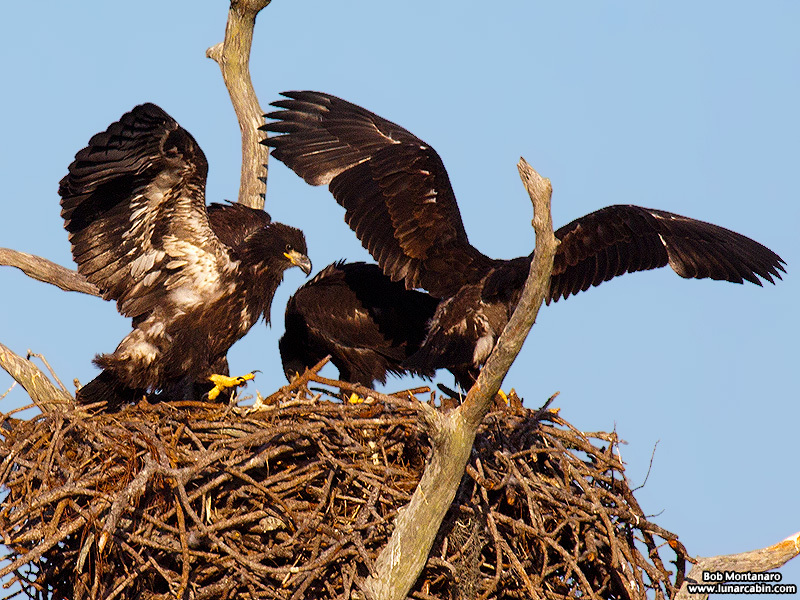 The three Eagle nestlings are rambunctious and their large size makes the nest seem a crowded place. 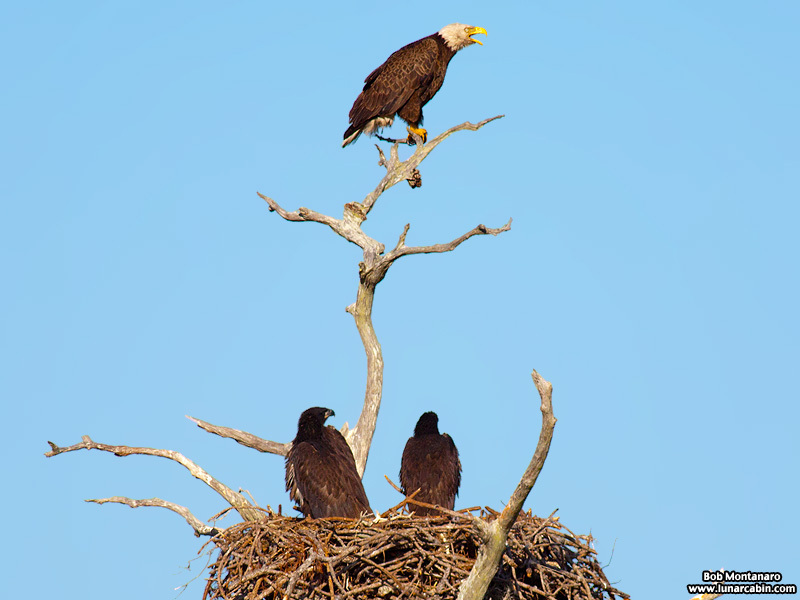 They were also observed feeding themselves from food the adult Eagles had brought to the nest. 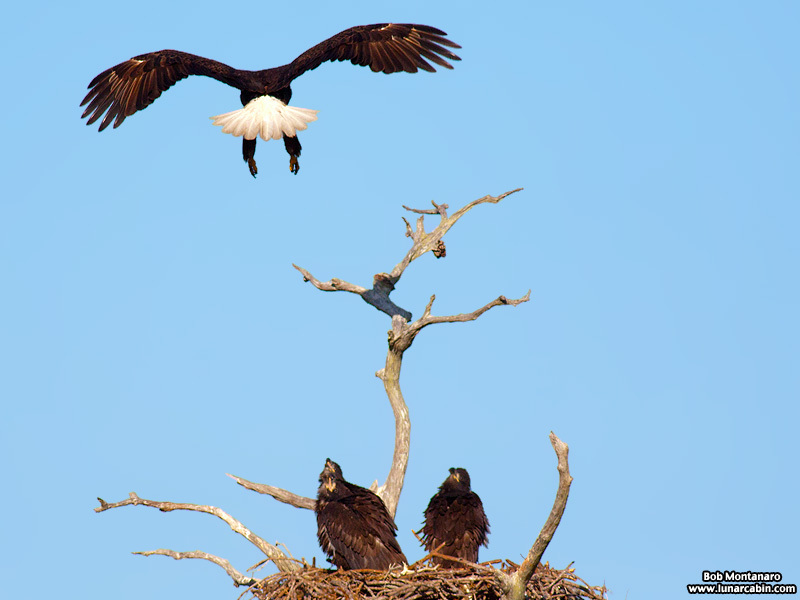 Mom sends out a warning cry to a passing Osprey to keep its distance. 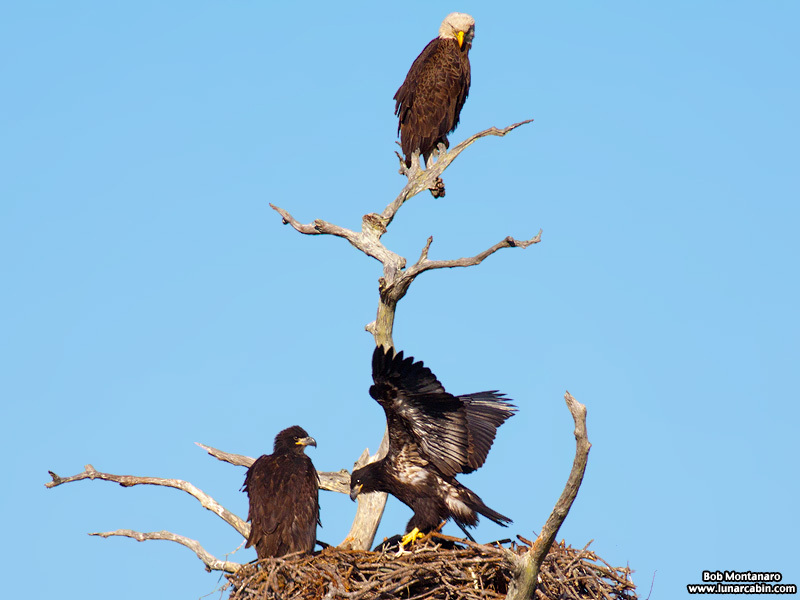 A series of images shows one of the Eagle nestlings testing its wings. They are some time off from actually flying but they are taking the first steps in learning how. 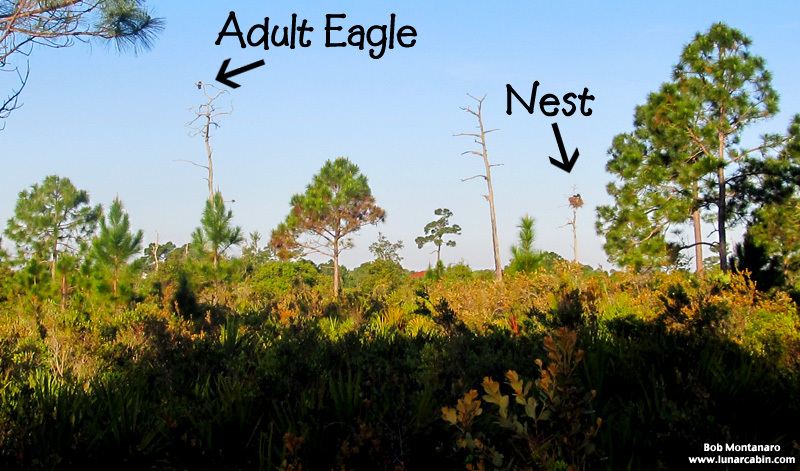 Thank you to Don & Karen Schuster for allowing me to tag along on their Audubon EagleWatch nest monitoring duties and for allowing me to photograph the nest. Thanks to Bob, Karen & Don for these wonderful photos!